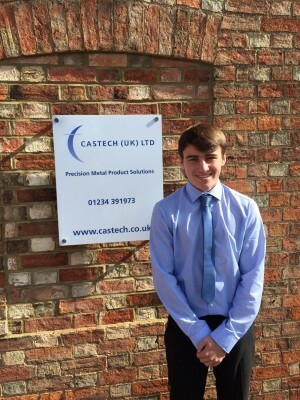 Castech UK are pleased to welcome Josh Palmer to the business as the new ‘Business Development Apprentice’. Josh will be with Castech three days a week, whilst spending two days a week studying Level 3 Mechanical Engineering BTEC at Bedford College. The course covers a variety of key Engineering Principles including 2D/3D CAD Design, Further Maths for Technicians, Mechanical Principles, Electrical Principles, Pneumatics and Hydraulics, Materials Data and many more.